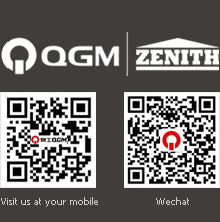 QGM - Germany Zenith has been conducted the Indonesia concrete exhibition in 2015 Southeast Asia (Indonesia Concrete Show 2015). This exhibition was held on October of 28th . The three-day exhibition was conducted for those professional concrete industry people with the purpose of creating the interaction and communication for the business platform. The exhibition has gathered those suppliers and buyers through the communication and interaction on concrete-related products, services as well as obtain to the industry knowledge. In the same time, it's discussed the important matters of the development in this industry. Due to the Indonesia's economy starting to develop rapidly. Therefore, the Indonesia Ministry of Engineering Department has estimated the market value of the construction market in this upcoming years can reach at least 200 trillion rupiah.According to the estimation, the Indonesian construction industry in the past 10 years, has eventually growth more than 10% of the market every year . The standard of the architectural level has also risen. The concrete as a basis for building materials , also play an important roles for the growth In Southeast Asian construction market. Therefore, this exhibition I'm personally very excited to look forward on it and allow The Germany Zenith to attend this opening. Our company of T-series product has a high market share in Indonesia, which allow to promote the Zenith free pallet machine and also the unique and well known technical advantages in order to acknowledge the local customer awareness to our machine. Due to the Indonesia is well known of producing pavers. Zenith's free pallet machine is definitely able to meet customer's requirement. 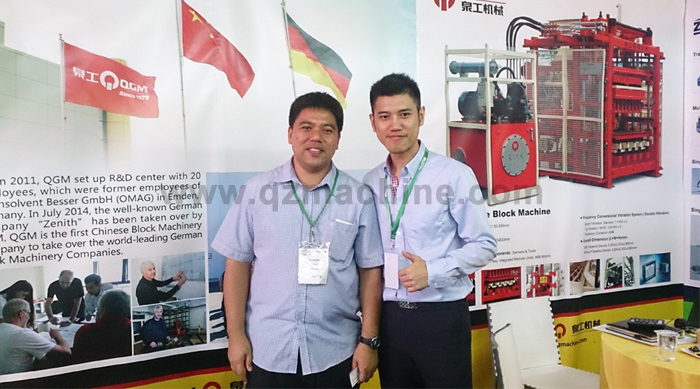 More importantly, QGM's office in Indonesia has already existing and set up for five years and the local market has always been very reputable. Currently, there are several customers already have the intention of purchasing the products and started to arrange the trip to visit Germany for surveying the Zenith company.